At Blue Springs Siding and Windows, we’re always looking for ways to save our customers money. 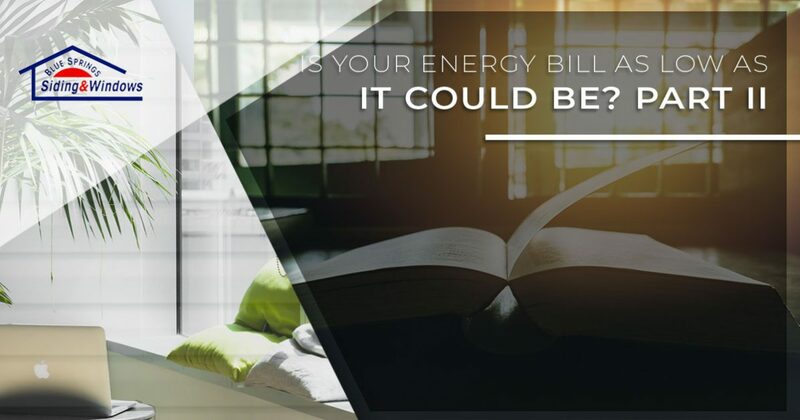 In a previous post, we provided you with a few tips that can help you save money on your energy bills, and in today’s post, we’ll provide you with even more tips that can help you improve your home’s efficiency. When you’ve finished reading today’s entry, get in touch with us to learn more about door installations, roof replacements, and the other great home improvement services we offer! In our previous entry, we mentioned that your windows can be a major source of energy loss. In a similar fashion, your doors can allow your heating and cooling to flow out of your home, resulting in higher monthly energy bills. Windows are a bit easier than doors to evaluate, as you can always check to see if the glass has cracked, or if the frame is beginning to separate from the wall. That being said, the candle test is one of the easiest ways to evaluate your doors for leaks. Light a small candle and slowly move it around the edge of a door. If the flame dances in a certain spot, then you probably have a leak. While you can attempt to seal the area yourself, this is a great time to invest in a door installation! Did you know that your electronics use power, even when you’re not actively using them? It’s true, and this fact surprises almost everyone who hears it! 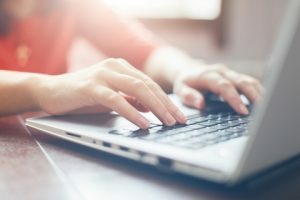 Laptops, chargers, computers, TVs, small kitchen appliances, and other devices can all slowly increase your monthly energy bill, so try to remember to unplug the non-essentials when you’ve finished using them. Even if the savings are small, they will add up in the long run. A sturdy roof is key if you want to maintain a stable temperature in your home. Much like damaged siding and outdated windows will compromise your home’s energy efficiency, a compromised roof will allow warm and cold air to escape, forcing you to pay more each month. If your roof is more than 20 years old, or if you’ve noticed an increase in your utility bills this year, then consider investing in a roof replacement. Our local roofers can help you determine if a complete replacement is right for your home, and we also offer affordable financing options that can help you get the roof you need, exactly when you need it. We hope that today’s post will help you improve your home’s efficiency. Keep an eye on our blog page, as we’ll continue to provide you with even more helpful resources in the coming weeks and months. Are you interested in learning more about replacement windows, door installations, roof replacements, or any of the other services we offer at Blue Springs Siding and Windows? Fill out the form below or come by our showroom!